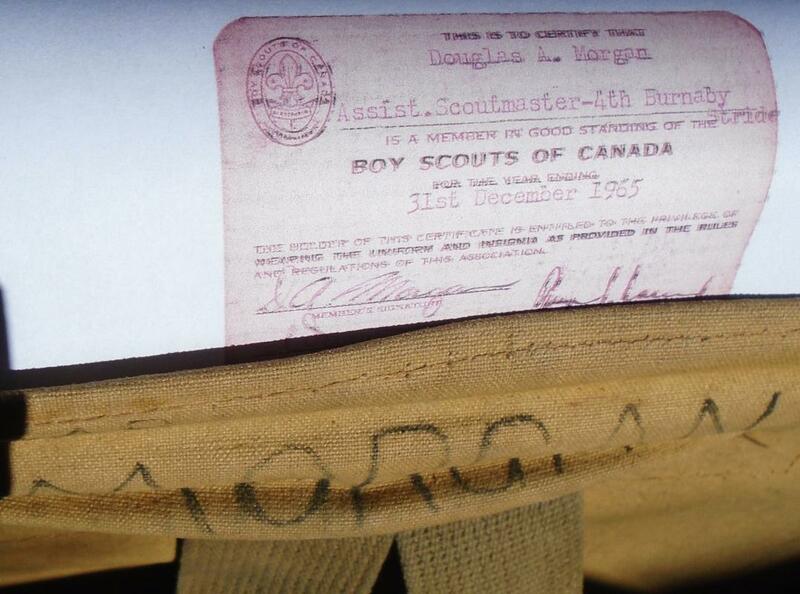 from Estate of Original owner Douglas A Morgan Sr. passed along to his son Douglas TS Morgan Jr. For the buyers Historical information a photocopy(LAST PICTURE SHOWS) of Douglas A Morgan Assist.Scoutmaster _4th Burnaby Stride BOY SCOUTS OF CANADA up until 1965. He was a Boy Scout for many years before. His son also was a Boy Scout and became Queens member the Highest rank of Boy Scouts. A great family legacy. Both War veterans over the years. 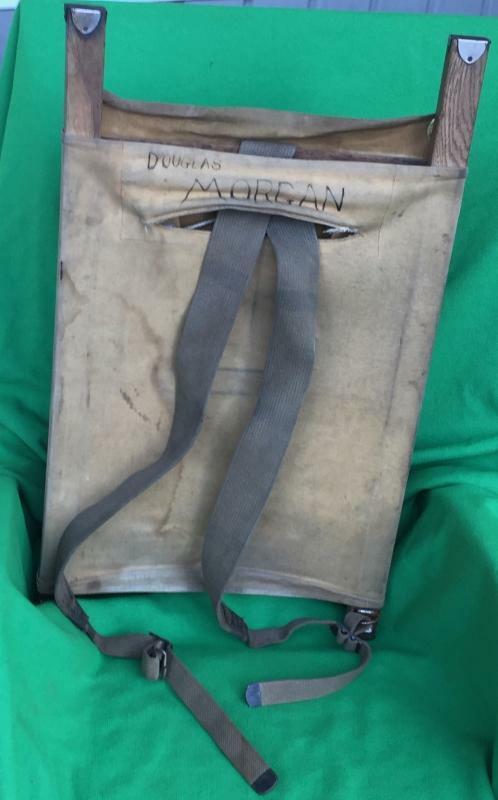 Canvas in Good condition for the age: Note: Solid Brass Rivets on top flap. 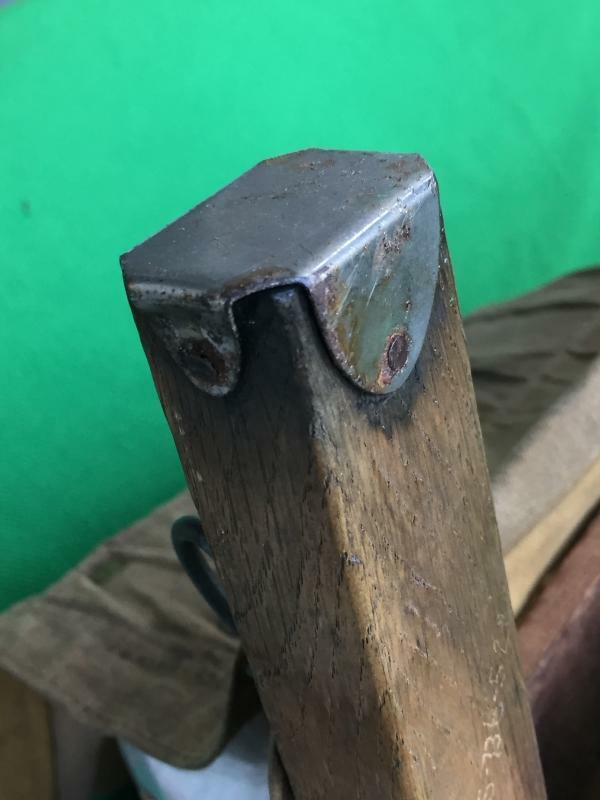 NOTE: Steel Nails thru Steel Cap Posts on each of 4 Ends. _ Early Pack Board verses many that have Staples and have Aluminum caps......Again this is OLD. 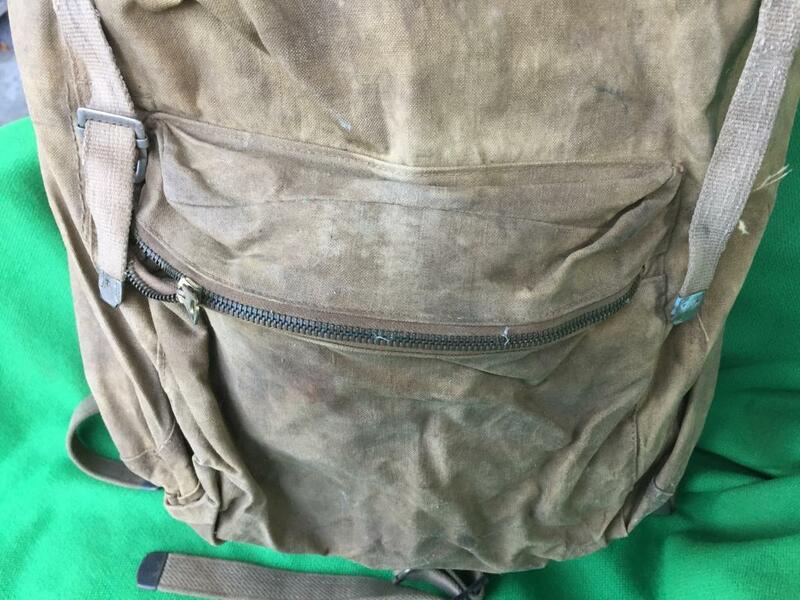 _ The canvas being old has a sewn repair where one buckle is missing. 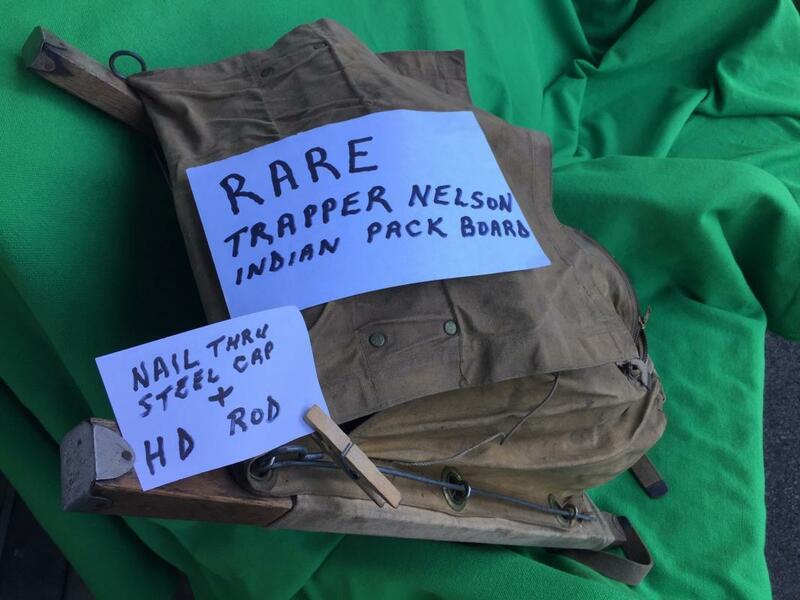 No Harm No Foul...upon finding a complimentary buckle All is Very Good with TRAPPER NELSON INDIAN PACK BOARD. While a label is missing, IT Actually may have been made Prior to Jones Tent and Awning Company Vancouver BC Canada starting labeling Pack Boards. MAKE USE OF TODAY or Great Wall Decor in your Cabin. Shipping to USA $45.00 _ Shipping to Canada $45.00 __PAYMENT by PayPal _ Curiosity Cove member GoAntiques since the year 2007 . 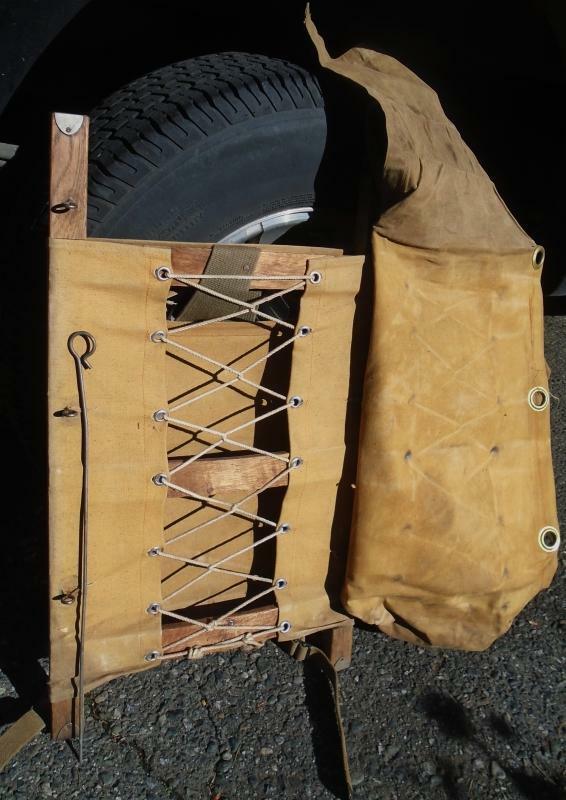 Items Similar To "Circa 1930s TRAPPER NELSON INDIAN PACK BOARD _Estate of Boy Scout..."